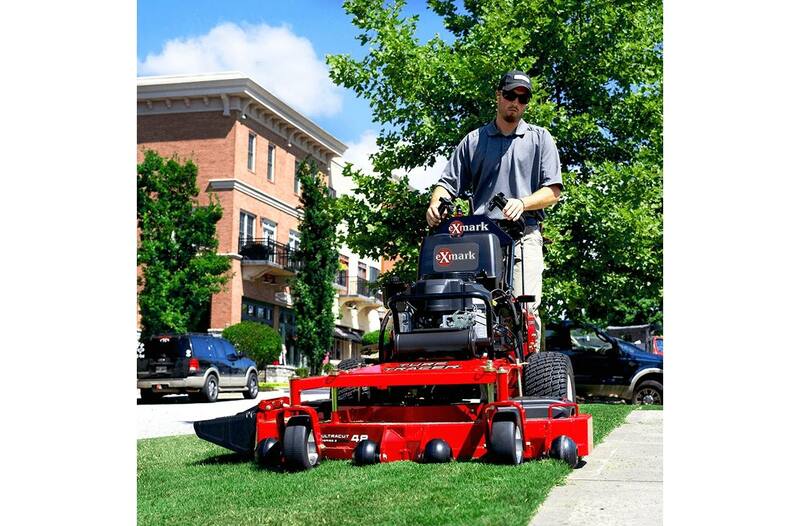 Made-to-order performance in a floating-deck, hydro-drive mower. 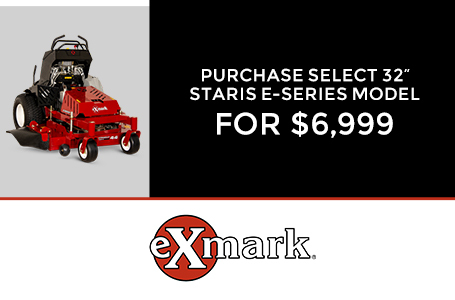 With the Exmark Turf Tracer S-Series, you can choose from four rugged engines including the eco-friendly, Electronic Fuel Injection (EFI), propane Kohler® PCV680. 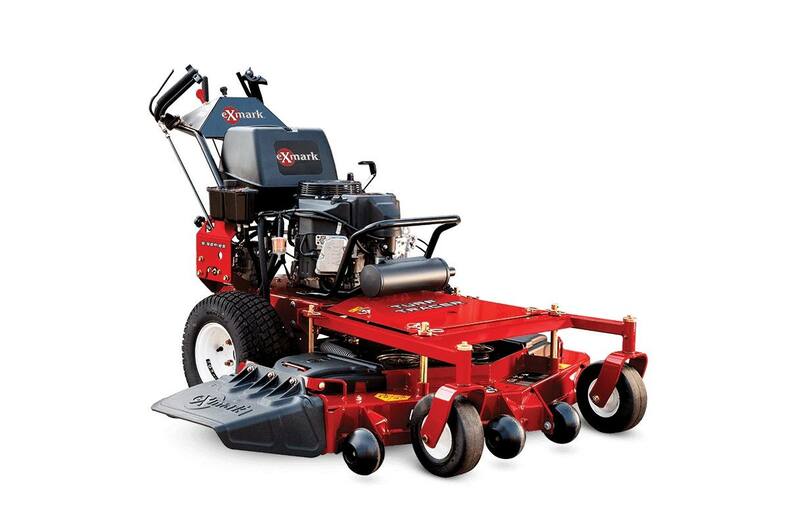 Then, match that power to cutting decks in 36-, 48-, and 52-inch widths. In whatever configuration you choose, you'll get our patented Enhanced Control System (ECS) for ultimate operator comfort. Which translates to day-long operator productivity. 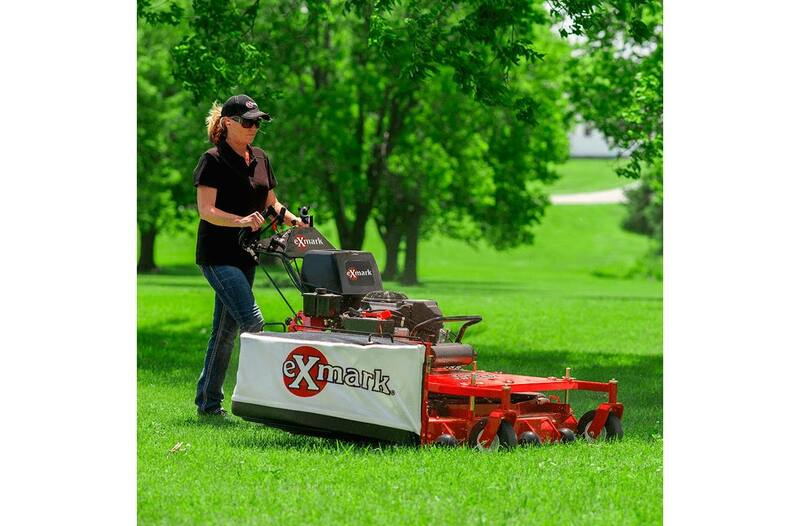 New Electric Clutch: Proven to be among the most durable and reliable in the business, Exmark's superior electric clutch technology allows for easier and faster belt servicing. Forget Flats: Standard 9" x 3.5-4" smooth-tread, semi-pneumatic front caster tires virtually eliminate tire repair. Hour Meter Comes Standard: Improve maintenance records and track service intervals for longer life. Patented Enhanced Control System (ECS): Recent university tests showed landscape professionals prefer our control system to all others on the market. 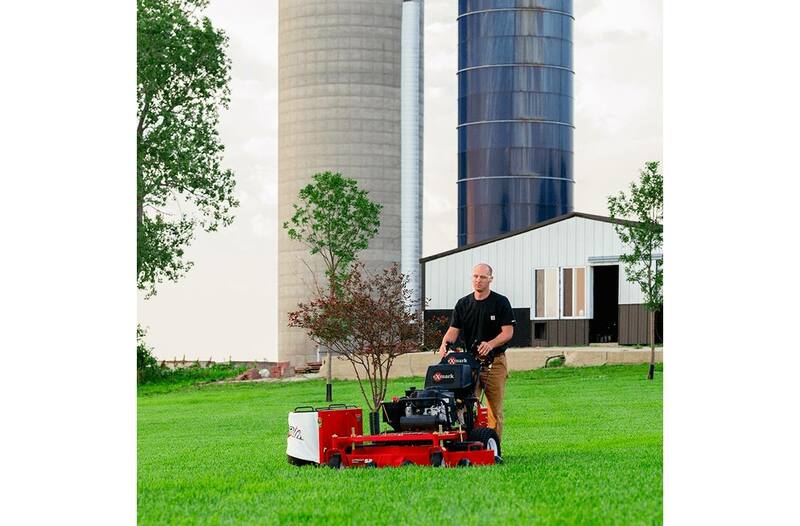 Propane: An eco-friendly, lower cost fuel reduces operating expenses versus typical gas-powered mowers. Floating Deck: Full-floating UltraCut™ deck. Side discharge standard, with molded discharge chute and option to bag or mulch. Steering Control: Hydro drive with Enhanced Control System (ECS), forward/reverse, left/right or zero-turn. Front Caster Tires: 9 x 3.5-4, smooth-tread, semi-pneumatic. Parking Brake: Lever-actuated mechanical compression. Drive Description: Twin Hydro-Gear variable-displacement pumps and twin high-efficiency Parker/Ross wheel-drive motors with 1" (2.54 cm) tapered shafts. Speed: Infinitely variable speed selection from 0- 6.2 mph (10 kmph) forward, 0-2.2 mph (3.5 kmph) reverse. PTO Engagement: Electromagnetic 105 ft-lbs clutch. Fuel Capacity: 5-gallon (18.9-L) fuel tank. Deck Lift: Manual lift with hairpin from hole to hole for position adjustment. Deck Style Description: Full-floating UltraCut Series 3, side discharge standard, with molded discharge chute and option to bag or mulch. 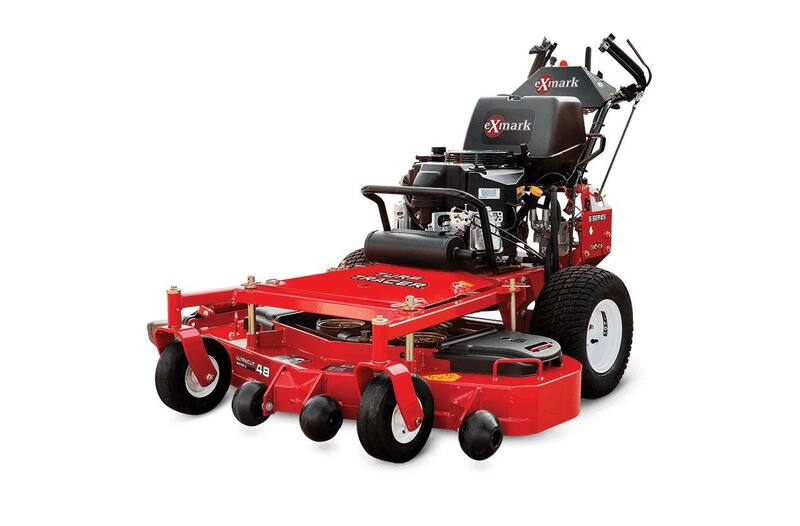 Width / Cutting Deck: 48"
Deck Construction: 10-gauge top that is formed and continuously seam welded, 7-gauge side skirt and 7-gauge welded spindle mounting locations for improved strength. Cutting Heights: 1.5" (3.8 cm) to 4.5" (11.4 cm) in 0.5" (1.3 cm) increments.